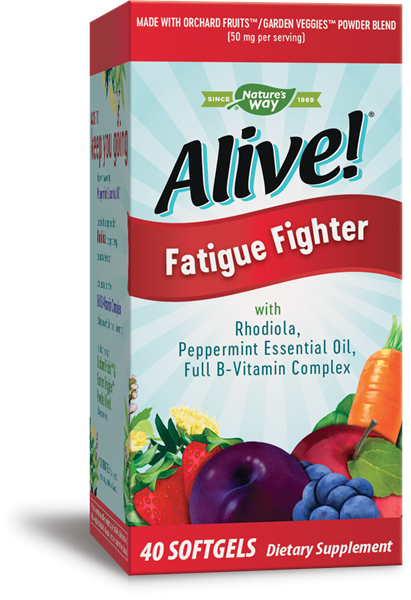 Alive Fatigue - Nature's Way®. Includes the unique Orchard Fruits™ & Garden Veggies™ Powder Blend (50 mg per serving). Adults: Take 1 softgel twice daily with water before a meal. Do not use if you are taking antidepressant medications, or if you are under 18 years of age. If pregnant, nursing, or taking any medications, consult a healthcare professional before use.